Hey girl! You’re here because you can relate to that tight sensation across your chest. That short of breath-ness that feeling that SOMETHING just isn’t okay. You know that everything seems okay on the outside, but life doesn’t FEEL RIGHT on the inside. I know this, because I’ve lived with that feeling too. This PDF was created from one of the first tools I used to begin to put my life together according to my preference - not everyone else’s. It’s a simple 3 step technique to help you get clear on what’s important - FOR YOU and start putting those things first. Katrina was a born people-pleaser, the baby of the family she learned the graceful art of not standing on any one’s toes and attempting to keep everyone happy from an early age. As a result, she spent most of her teens and twenties lost. Most of the time she couldn’t even decide what to eat, let alone the direction of her life. She’d spent so many years seeking external validation, trying to keep others happy that she wasn’t sure of her deepest desires nor how to spend this one, precious life. So she bounced from relationship to relationship, house to house, job to job, degree to degree without ever really committing to anything, without ever feeling truly connected to what she was doing. After 15 years of self-help, travel, reflection, journaling and studying Katrina reconnected with her childhood dream of writing. Since committing to writing and journaling for herself first, Katrina’s life unfolded with ease. 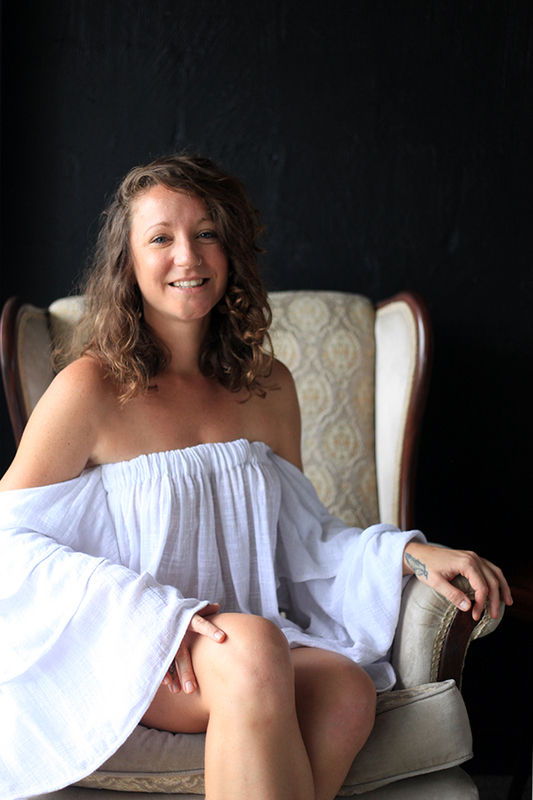 Now Katrina works as a Self-Worth Mentor helping other women skip the years of struggle and connect with themselves so that their every decision is one they make for themselves – not for anyone else. 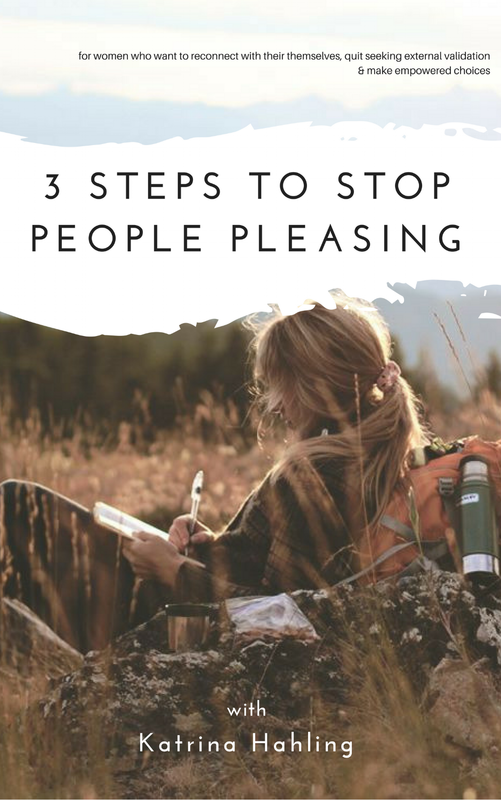 download your copy of 3 Steps to Stop People Pleasing. Quit seeking external validation by reconnecting with yourself so you can make more empowered decisions and shift that knot in your chest.